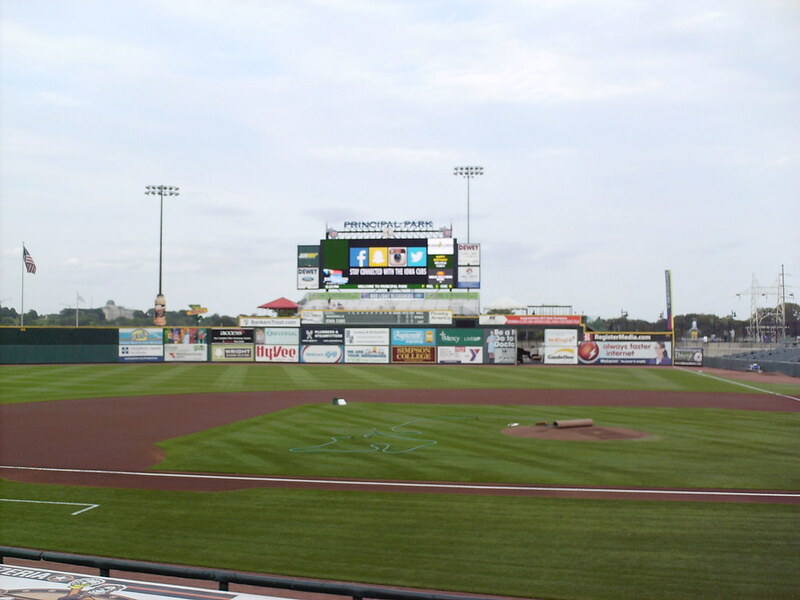 The view from behind home plate at Principal Park. 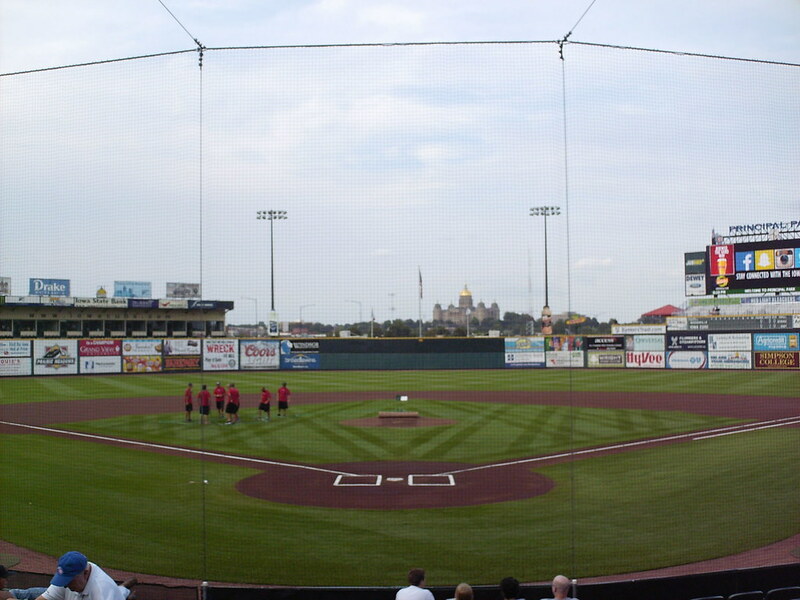 The Iowa State Capitol Building provides the backdrop to a game. 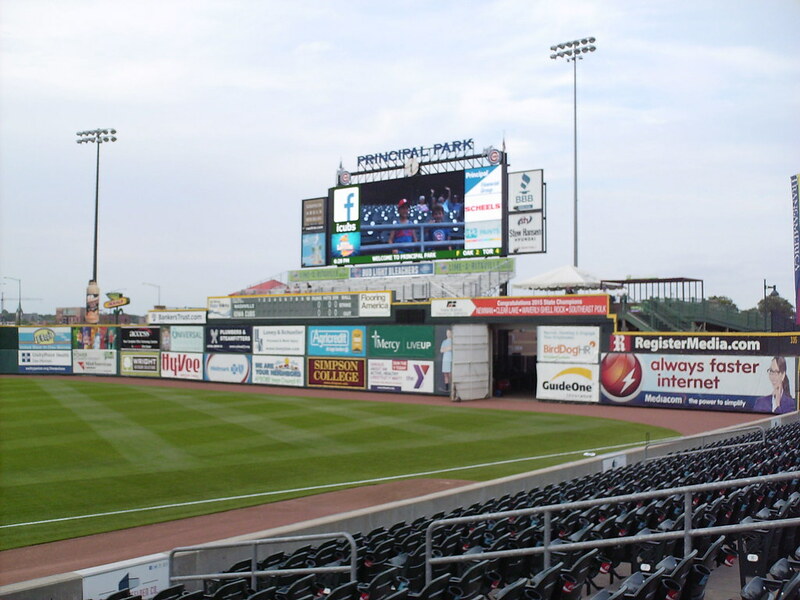 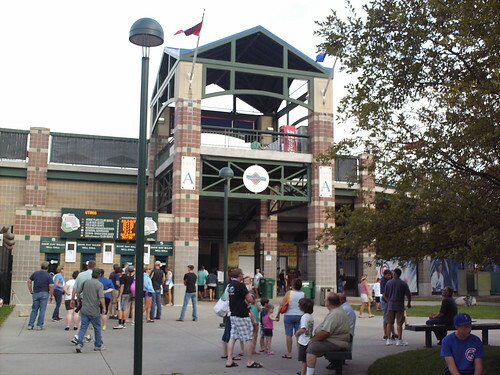 The grandstand at Principal Park, as seen from the right field corner. 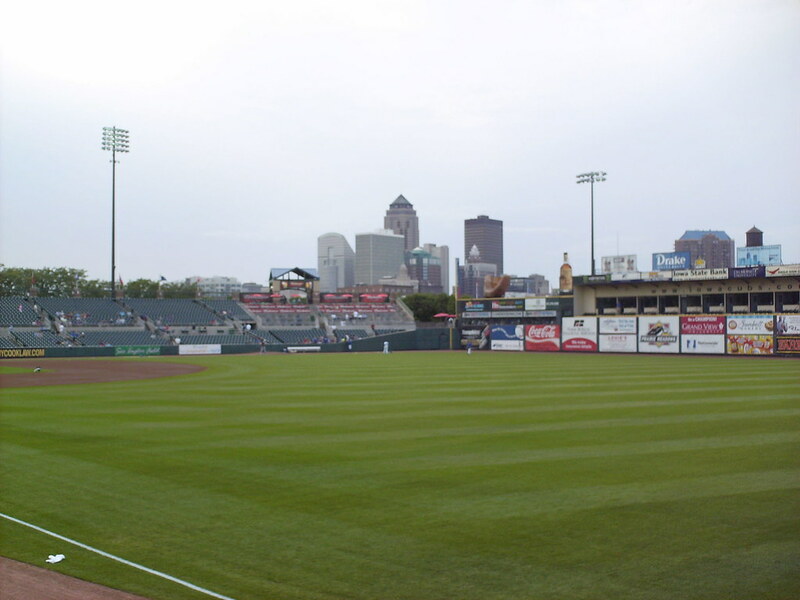 Downtown Des Moines as seen from inside the ballpark. 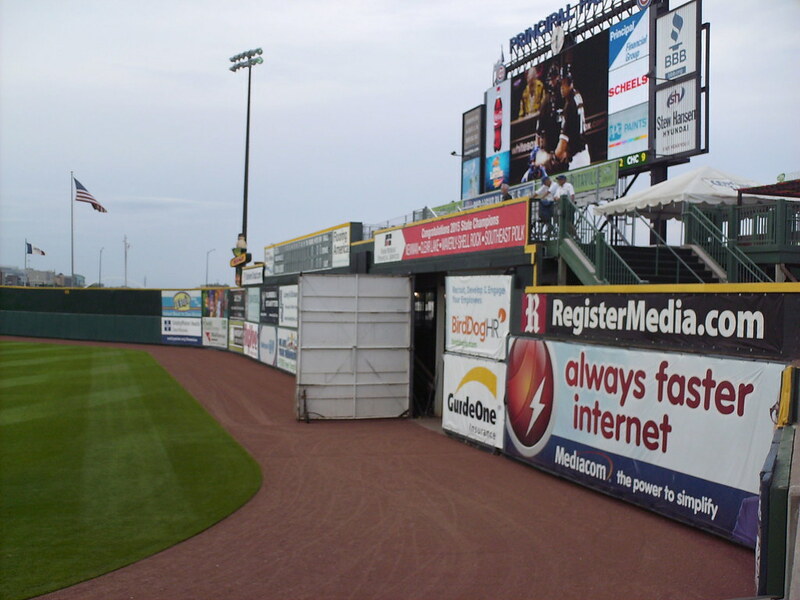 The pressbox behind home plate. 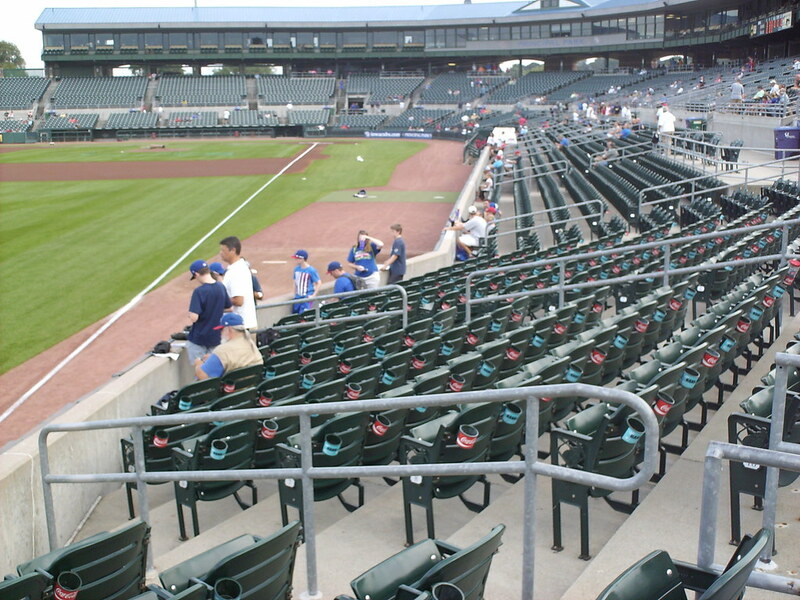 The first two rows behind home plate are padded seats, boxed off from the rest of the seating bowl. 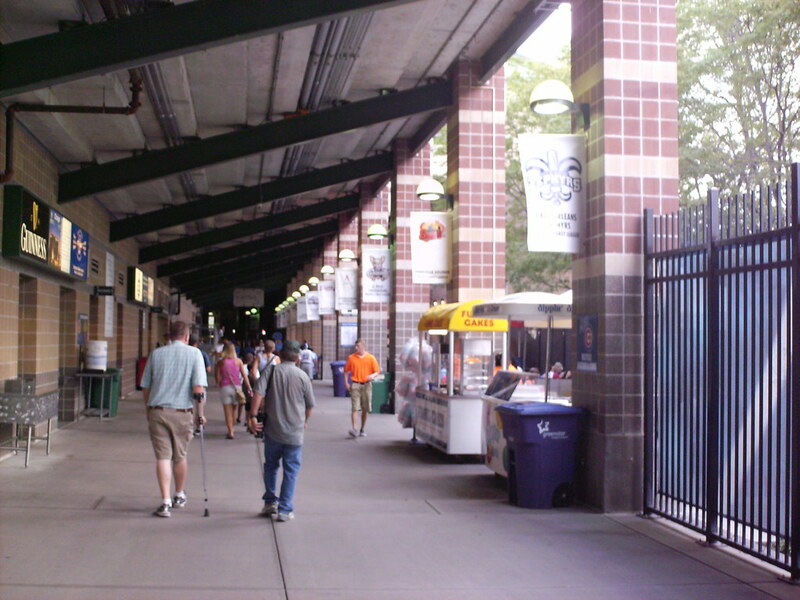 The grandstand wraps back around to face home plate, leading to more foul territory on the infield than the outfield. 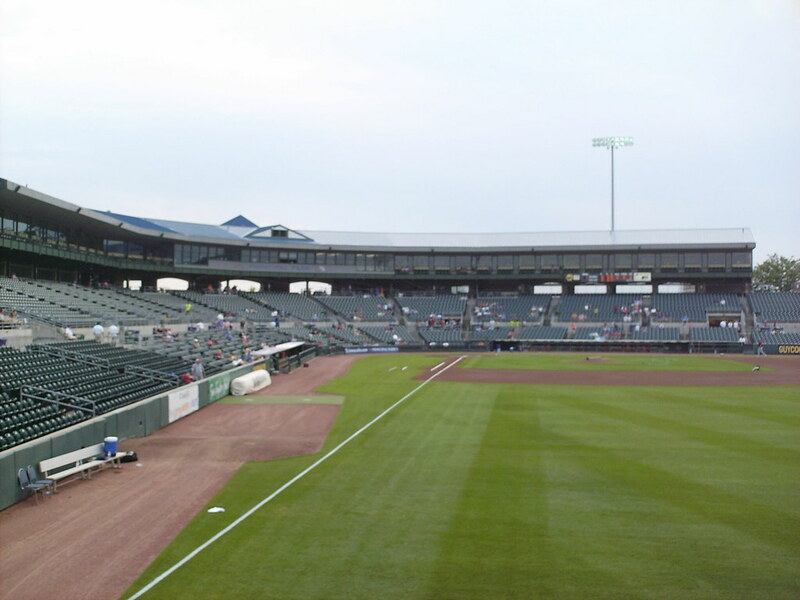 Bullpens sit in the infield foul ground. 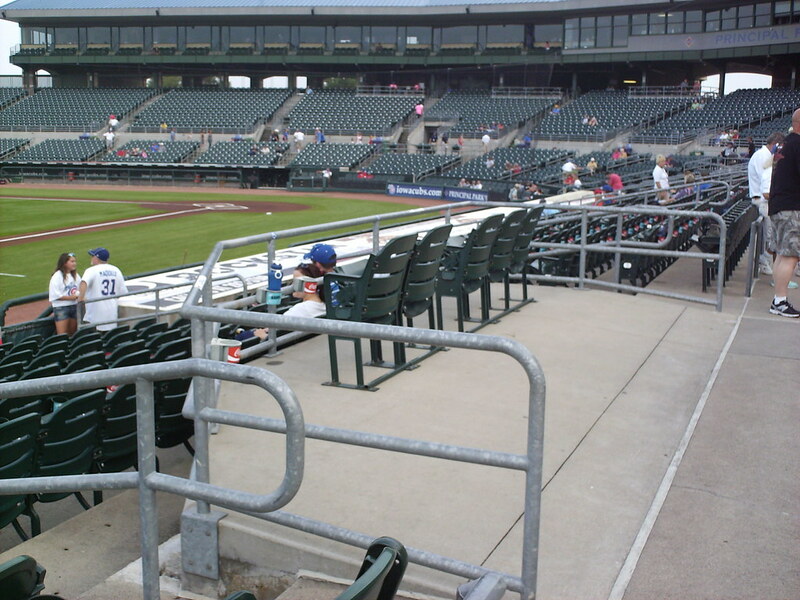 Handicap seating boxes are raised slightly up off the main concourse. 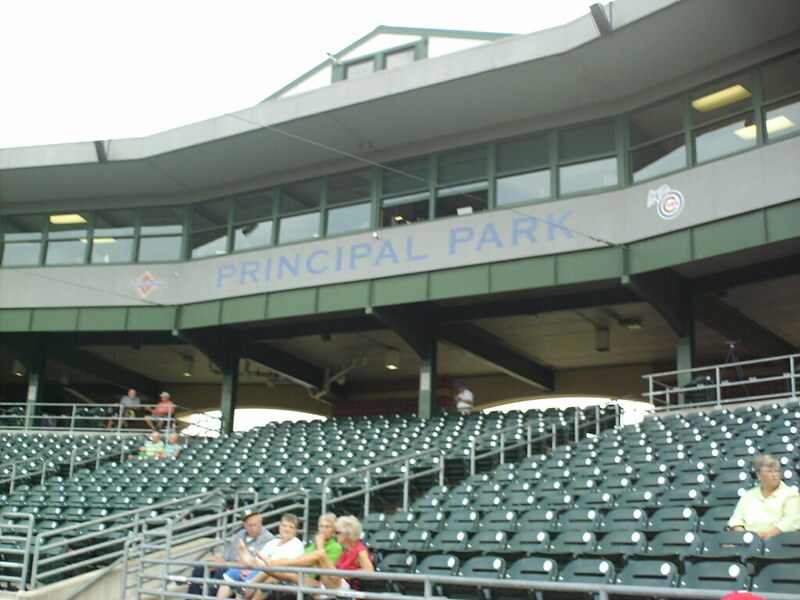 Tiered picnic table seating in the left field corner of the grandstand. 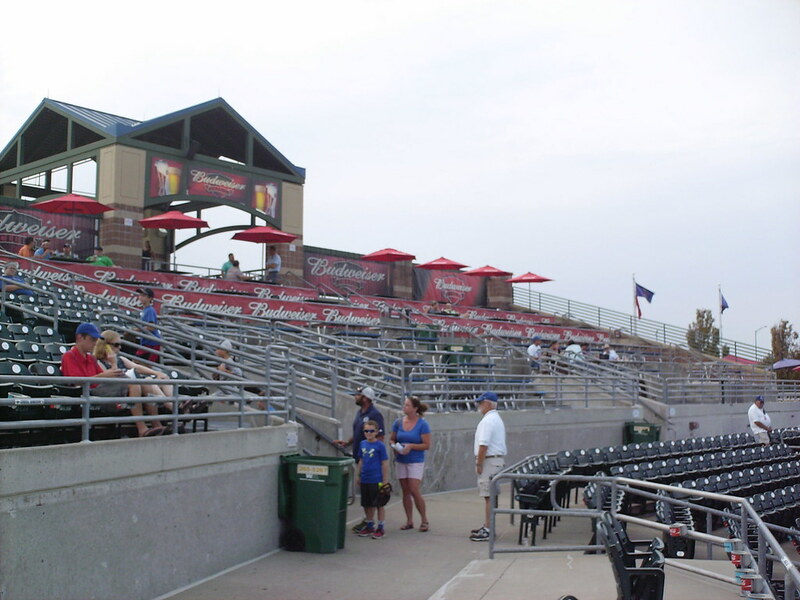 Raised bleacher seating looks out over the field from behind the right field wall. 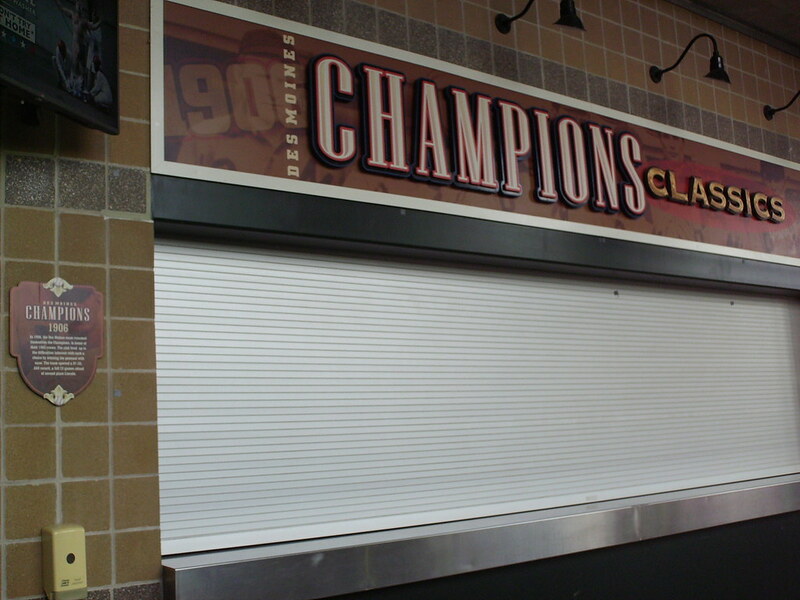 The concourse underneath the grandstand at Principal Park features banners for all 30 AAA teams. 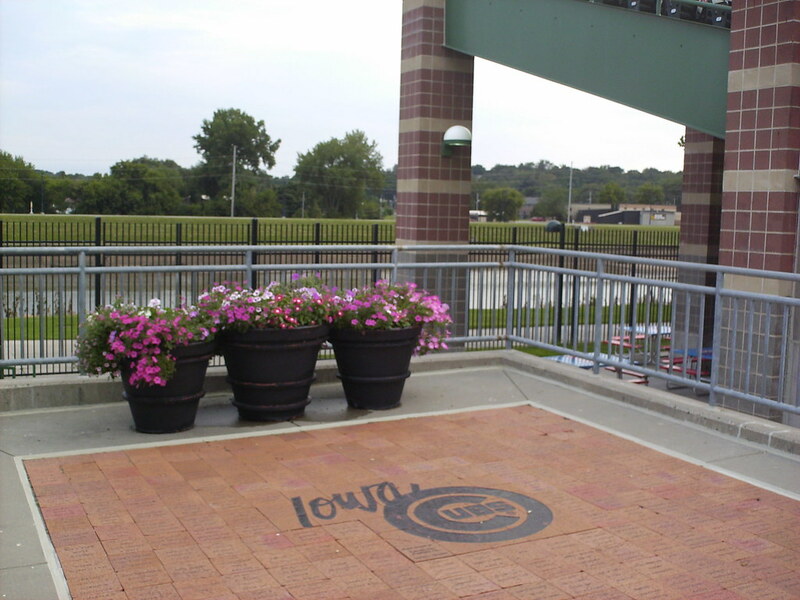 The concession stands are named for Des Moines former minor league teams, with plaques explaining the history of those ballclubs. 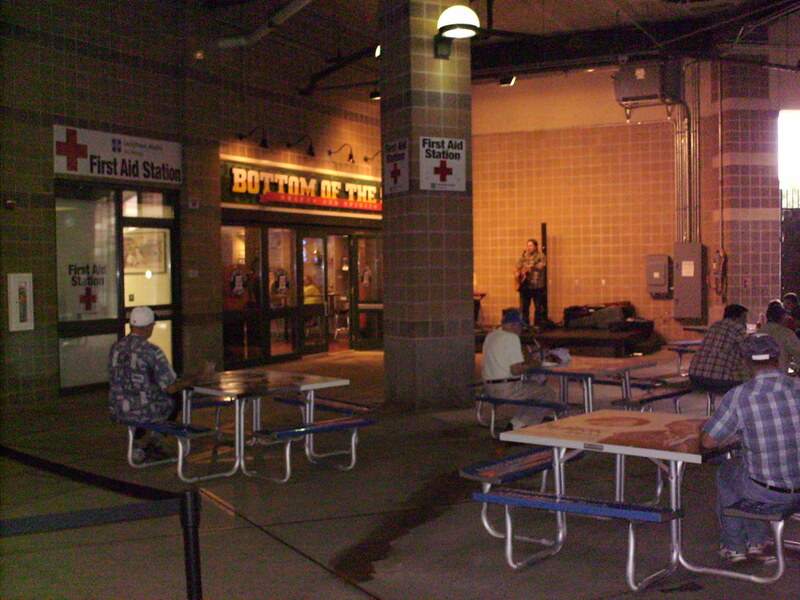 An area along the concourse features an indoor bar, performance stage, and picnic tables. 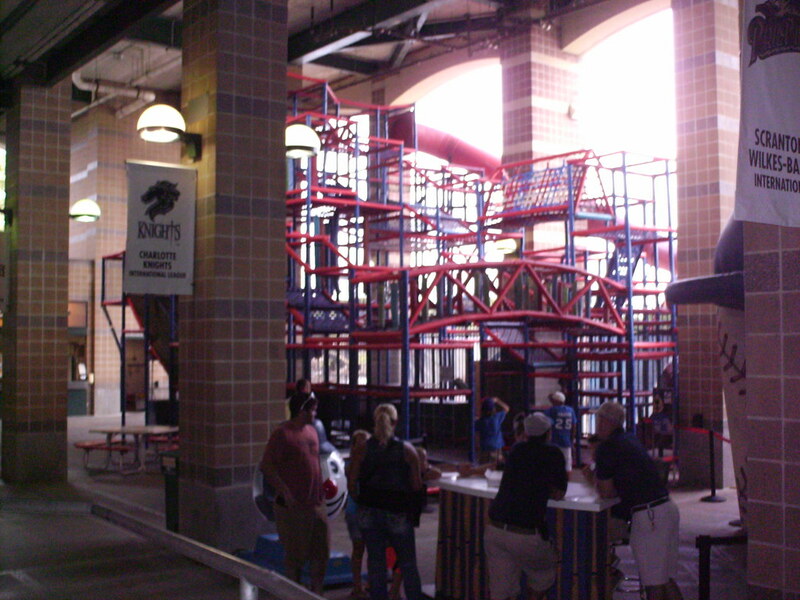 A large children's play area sits underneath the seating bowl at Principal Park. 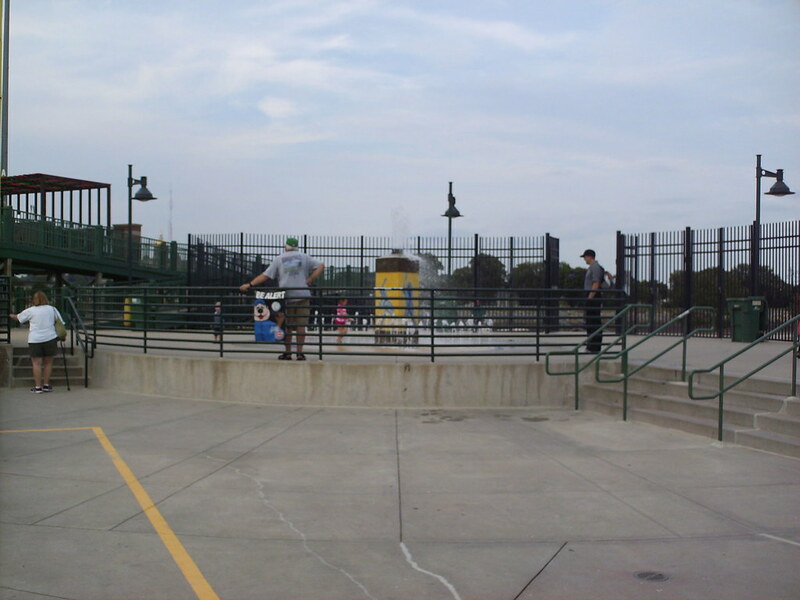 The outfield concourse features a fountain in right field for children to run through, and for fans cool off in on hot summer days. 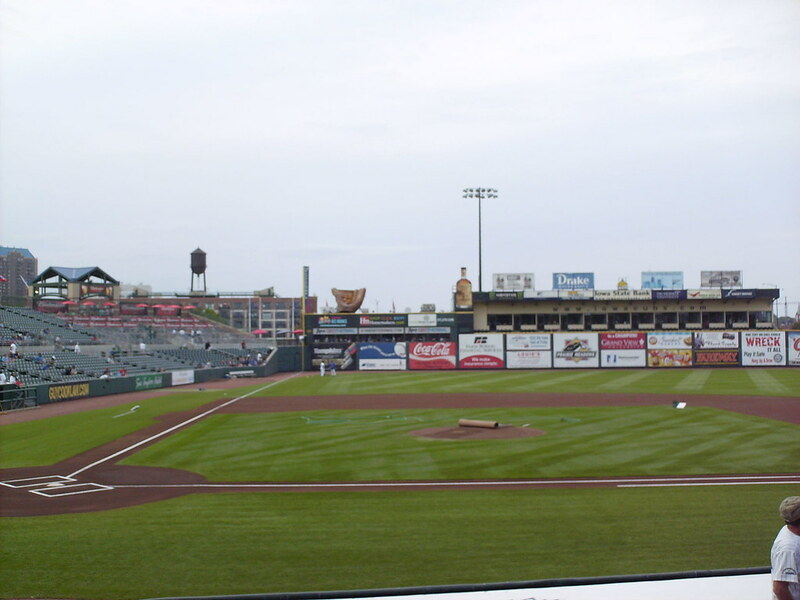 The Des Moines River runs right behind the first base stands. 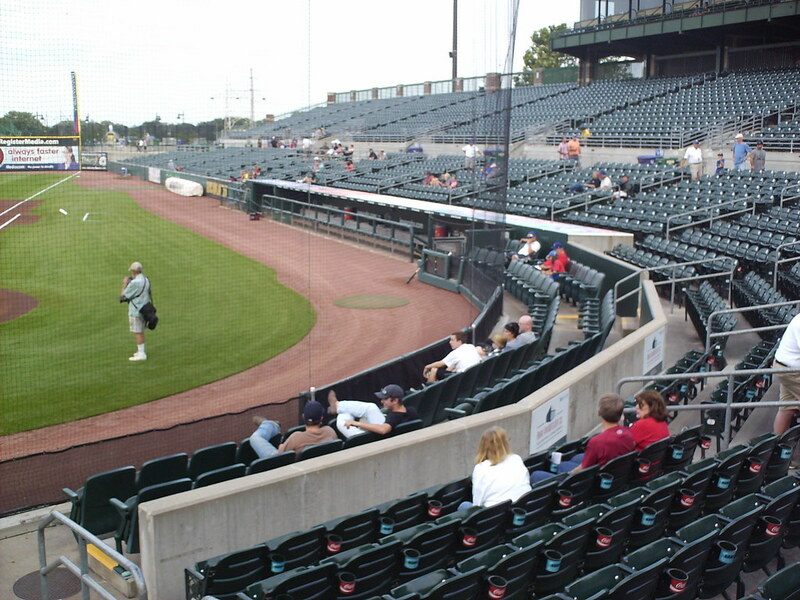 Restaurant seating inside the left field wall, with luxury boxes on top of the wall in left center field. 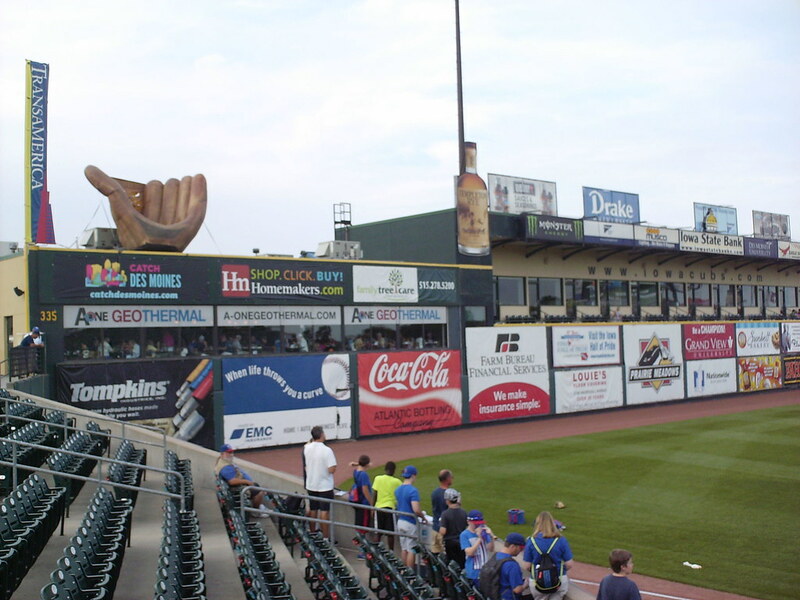 The outfield wall changes heights half a dozen times as it runs along right field. 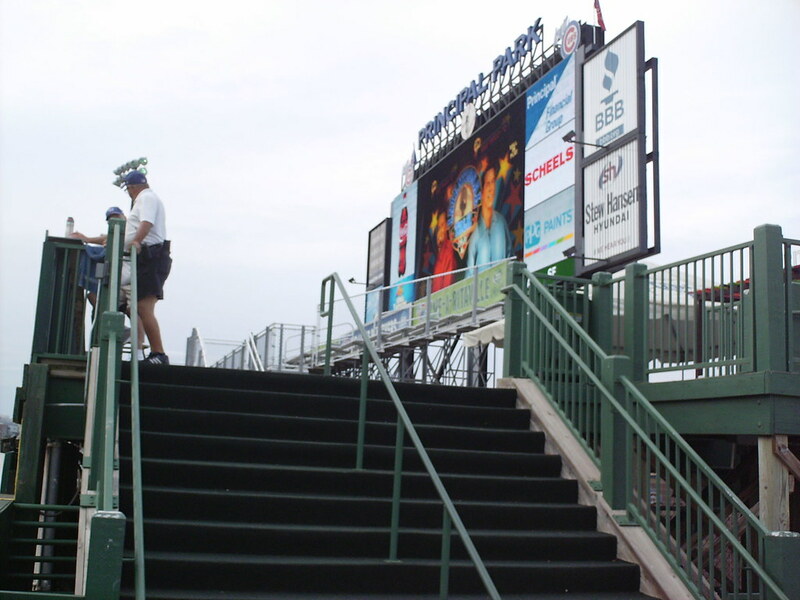 The scoreboard behind the right field bleachers, with the line scoreboard on the top of the fence. 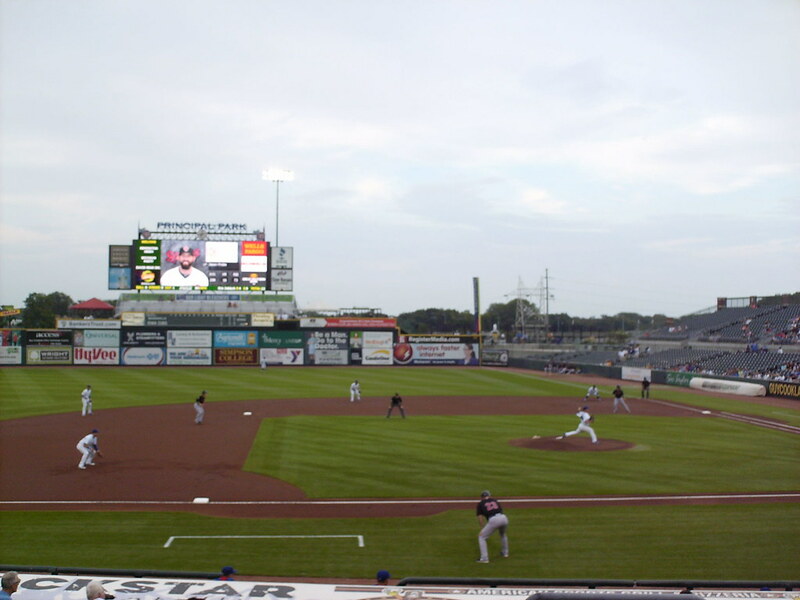 The Iowa Cubs on the field during a game at Principal Park.